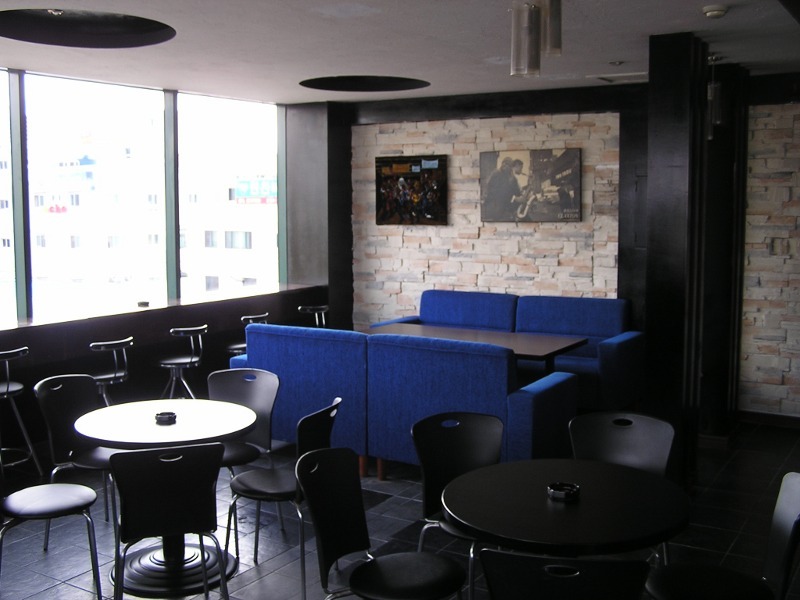 UPDATED (March 2013) – If you’re looking for a party in Samsandong, Cima Bar is definitely the place to be. 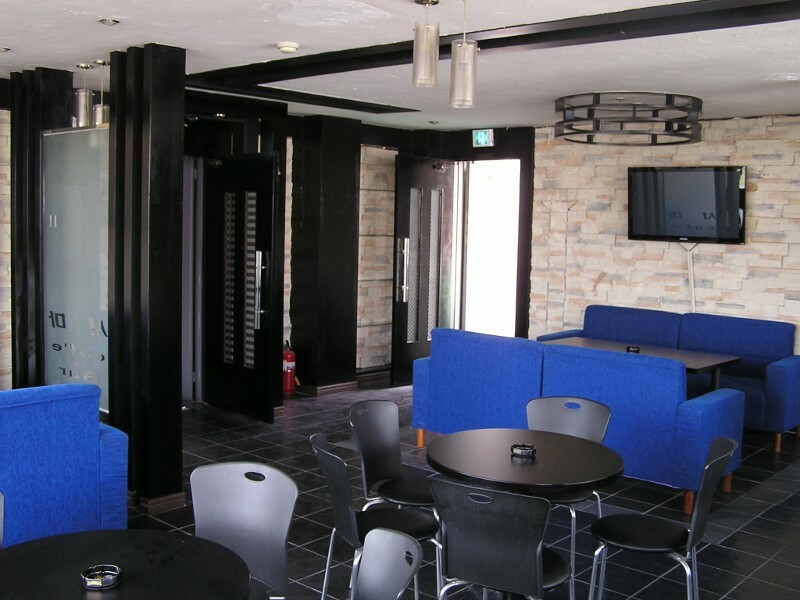 Open Fridays and Saturdays, usually around 9pm (check the Ulsan Online Facebook group for Al’s announcements), the early evenings are quiet and relaxed if you’re looking for a game of e-darts or a friendly chat with the bar-keep. After midnight, the atmosphere often changes, though, as the place fills up, the tunes are cranked, and people hit the “dance floor” (the open area in front of the TV). Warmer temperatures expands the fun onto the huge patio, giving you an airy respite from the party inside, and on occasion, the BBQ is fired up, serving hamburgers and hotdogs to the masses. Just when you thought Ulsan would have one less foreigner-owned bar when Benchwarmers closed, another one opens up. 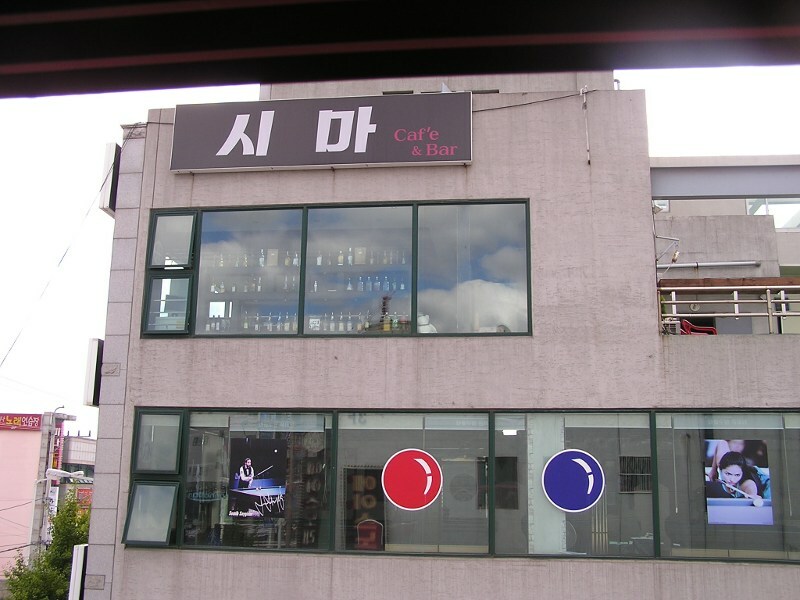 Cima (시마) is a foreigner-owned bar in Ulsan and has all the makings of a classic place to meet friends, quaff a drink or six and watch the rest of Ulsan’s Samsandong go by. Where other bars are dark, closed off and cave-like, Cima is open and airy with enormous glass windows which look out upon downtown and a rooftop patio that is sure to be a hit in fair weather. Inside, comfortable, low-slung couches surround cozy tables while high stools line the copious window space. 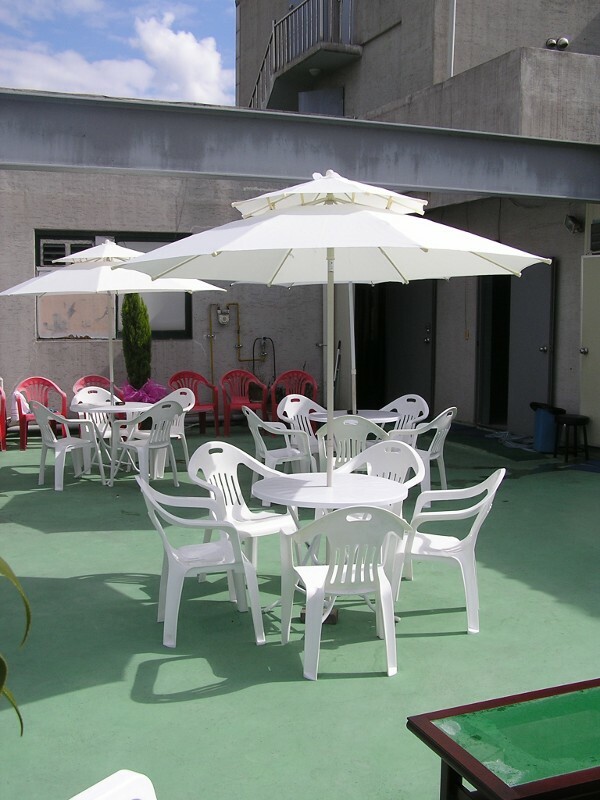 Outside, the rooftop patio is set with umbrella festooned tables and weather-resistant sofas. The perimeter of the patio is graced with a polished bar making for perfect people watching of the busy downtown below. Owner Alan Michieli took some time recently to show us around his new place located in the heart of Samsandong. 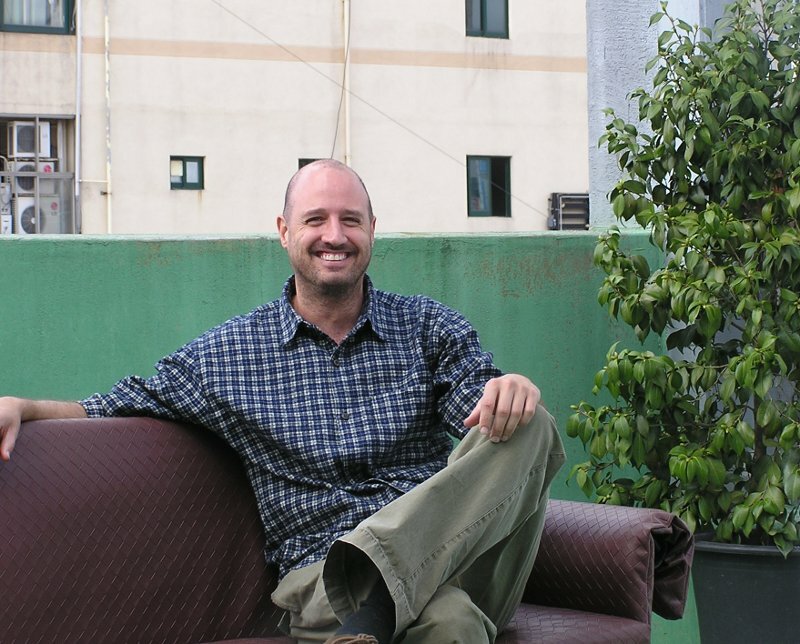 Alan is no stranger to running a bar as he was one of the owners of the once popular Tombstone Bar in Mugeodong. Alan is committed to giving his patrons a comfortable, convenient place to hang out whether it’s a Sunday afternoon picnic on the roof or Friday night binge in the corner booth. Expect Cima to be open Wednesdays through Sundays. Currently, Alan is only serving drinks and light snacks although he plans to upgrade his kitchen and begin serving food. His goal, however, is to have a barbecue grill on the rooftop for fresh grilled hamburgers and other treats. Inside, both internet TV and a sound system provide sight and sound entertainment for guests. To get to Cima one must first be able to read Hangeul. Not really, but you won’t find many English signs along the way. If you stand with your back to Hyundai Department Store’s front entrance, march straight across the main street toward Trevi Brauhaus and Eurus European pub. Go past Trevi one more block and you’ll see the “Terminal Haejang guk” restaurant. No, you won’t see that in English, but rather “터미널 해장 국” in fanciful script lettering. Walk past that and you’ll see Cima (no, not like that but in Hanguel as “시마”) on the fourth floor past the haejang guk place. A small circular sign with Cima in English is near the stairs and elevator to the top.